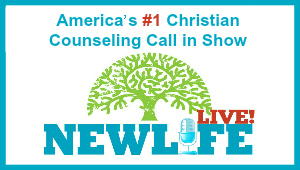 Steve Arterburn is the founder and chairman of New Life Ministries and host of the #1 nationally syndicated Christian counseling talk show New Life Live! heard and watched by over 2 million people each week on nearly 200 radio stations nationwide, on XM and Sirius Satellite radio and on NRBTV. Steve is also the host of New Life TV, a web-based channel dedicated to transforming lives through God’s truth. Steve is the founder of the Women of Faith conferences attended by over 5 million people. He also serves as a teaching pastor in Indianapolis, Indiana. Steve is a nationally and internationally known public speaker and has been featured in national media venues such as Oprah, Inside Edition, Good Morning America, CNN Live, The New York Times, USA Today, US News & World Report, ABC World News Tonight, and ironically in GQ and Rolling Stone magazines. Steve has spoken at major events for the National Center for Fathering, American Association of Christian Counselors, Promise Keepers Canada, Life Well Conferences in Australia and The Salvation Army to name a few. Steve is a best-selling author of books such as Every Man’s Battle, Healing Is A Choice and his latest books, The 7-Minute Marriage Solution, The Book of Life Recovery, Is This The One? and recently co-authored Worthy of Her Trust with Jason Martinkus. With over 8 million books in print he has been writing about God’s transformational truth since 1984. He has been nominated for numerous writing awards and has won three Gold Medallions for writing excellence. Along with Dr. Dave Stoop, he edited and produced the #1 selling Life Recovery Bible. For a more comprehensive list of his books, visit our store site. His speaking topics address issues common to leaders, adult men and women, including Every Man’s Battle, Lose it For Life, The 7-Minute Marriage Solution, Every Heart Restored, and Healing is a Choice. Steve’s ministry endeavors focus on identifying and compassionately responding to the needs of those seeking healing and restoration through God’s truth. Steve has degrees from Baylor University and The University of North Texas as well as two honorary doctorate degrees and is currently completing his doctoral studies in Christian counseling. Steve resides with his family in Fishers, Indiana.